Garagehouse Pictures are set to release WEB OF THE SPIDER, the classic Italian gothic horror ghost story directed by Antonio Margheriti to Blu-ray in October! 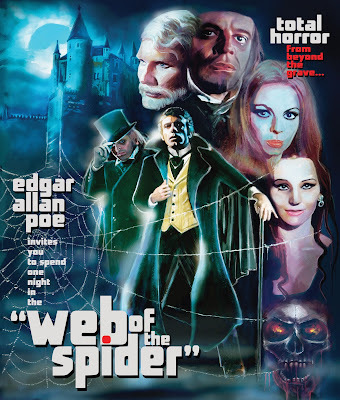 One of the last Italian gothic horror films, WEB OF THE SPIDER is a colour remake of 1964’s CASTLE OF BLOOD, also directed by Antonio Margheriti, under the anglicized alias Anthony M. Dawson. Previously only available in the US in a cropped television master, Garagehouse Pictures is pleased to finally offer this Euro-horror classic in HD for the first time ever, fully restored and mastered from an uncut, domestic theatrical negative in its original 2.35:1 widescreen aspect ratio!